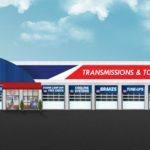 Each year, AAMCO holds a competition among its franchisees for the American auto repair franchise’s prestigious President’s Club Awards. Franchisees are evaluated based on 15 key performance indicators over four major categories, including business growth, training and education, customer satisfaction and brand standards. AAMCO CEO and President Brett Ponton discusses how AAMCO will become the premier brand for Total Car Care nationwide.AAMCO recently flew this year’s President’s Club Award winners — chosen from among AAMCO’s nearly 700 centers — to Cancun, Mexico, where they were honored at a special gala for their dedication and tireless efforts to the success of the AAMCO brand. 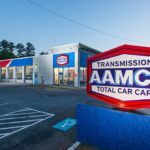 “We’re very proud to honor the 2015 President’s Club recipients,” says Brett Ponton, CEO and President of American Driveline and AAMCO Transmissions Inc. “These owners and their centers represent our brand’s commitment to integrity and define all that it stands for. Among those honored was John Summers, who was named the Grand Champion of the 2015 President’s Club. 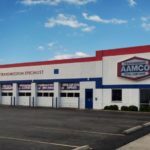 John, a longtime AAMCO franchisee, turned his three-bay service center in Louisville, Kentucky, into a 10-bay facility after nearly a decade of business growth. 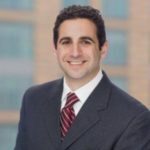 In addition to running his center, the franchise owner actively supports his community with donations and sponsorships that go toward college scholarships for local high school seniors. At the gala, AAMCO also honored the President’s Club Divisional, Regional and Best New Center Owner recipients.